MAS was visited by the Secretary of Education Christopher Ruszkowski to celebrate MAS' "A" rating for the third consecutive year! Click the link to follow the Straight A Express Tour! We Earned an "A" - Three Years in a Row! MAS Charter is proud to announce that for the THIRD consecutive year, we have earned an “A” rating on our school report card grade! The New Mexico Public Education Department publicly released school report grades today and MAS Charter School has earned an "A" rating once again; only 14% of schools in the entire State of New Mexico earned an A grade! We would like to shout out and recognize our exemplary staff for their hard work and continual commitment to the success of MAS students! We are very proud of this accomplishment and we sincerely thank our MAS families for the partnership in the education of your children. We commit to continue to bravely, boldly, and unapologetically create equity and opportunity for students through an exemplary educational program! In the featured video clip, Principal, JoAnn Mitchell, announces to the students and staff at MAS Charter School that MAS earned a "A" rating! Check this out! As a school leader, you can get so focused on student learning that you overlook your own learning. But the instructional leadership team at MAS Charter School see a direct connection between leader learning and teachers’ and students’ ability to succeed. New Mexico Governor Susana Martinez Visits MAS to Kick off the 2017-2018 School Year! NM’s Governor Susana Martinez visited MAS Charter School on the first day of school for the 2017-2018 school year to present each of the 1st graders with a book and some encouragement to keep reading, learning, and achieving “A” grades. The Governor, pictured here with JoAnn Mitchell, Principal/Founder/Executive Director of MAS Charter School, toured the school and observed teachers and students in MAS’ elementary program. MAS Charter School is rated as an “A” school three years in a row! Congratulations to MAS Charter School’s very own teacher leader Julia Burrola, a 2nd/3rd Grade Math teacher at MAS Charter School who was one out of only 15 teachers in New Mexico selected to be on the 2017-2018 Secretary’s Teacher Advisory. 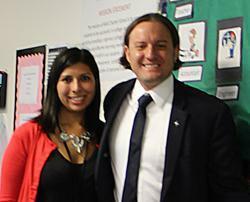 New Mexico ‘s Secretary of Education, Christopher Ruszkowski, visited Julia in her classroom on the first day of school for the 2017-2018 school year! 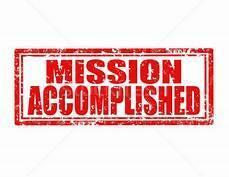 If you ask Mission Achievement and Success Charter School for the secret to success, you’ll likely hear “data.” But it’s not just about collecting data. It’s about using data to enhance teaching.​ Click the link to read more. Shout Out to MAS' Lead Instructional Coach Josh Harrelson who was featured by Whetstone with a Weekly Whetstone Coaching Tip! MAS Receives National Recognition as a School to Emulate! We are proud to report that the Center for Educational Reform has featured MAS in their newsletter! The Center for Educational Reform spotlighted MAS Charter School and named us as a “school to emulate!” Please see below the information that appeared in the Center for Educational Reform’s November 29, 2016 newsletter as well as the link where you can review the entire newsletter. Alison Garcia, 7th Grade Math Teacher at MAS Charter School received recognition as the 2016-2017 Teacher of the Year by the New Mexico Coalition of Charter Schools! We are excited for her to receive this well deserved recognition and thankful that MAS students receive instruction from outstanding teachers like Ms. Garcia! Congratulations Ms. Garcia!